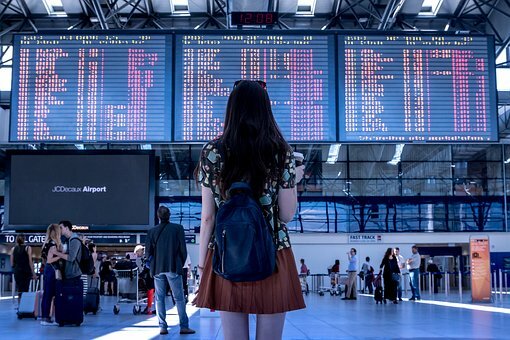 Out of the country or overseas trips are one of the greatest things that every individual needs to experience at least a couple of times in their lives. Travelling allows you to expand your horizons and have a great understanding of other people and different cultures. However, one of the reasons that hinder a lot of people from travelling is money. Yes, realistically you need to have enough money to travel comfortably and explore more places. But do you know that there are also ways to fly even with a limited budget? So we have prepared some tips on how to enjoy your trips abroad without breaking the bank. Spur of the moment trips are more expensive compared to trips are booked ahead of time. If you plan on going abroad, give yourself at least six to nine months to look for discounted airfares especially during off-peak season. You can save as much as 70 per cent when buying early bird promotions. When travelling on a limited budget, it is essential to look for homes or hotels that offer lower rates but offer excellent service. You can check out several accommodation options like Native Glasgow to assure you of a more enjoyable stay throughout your trip. Booking hotel rooms during peak seasons like summer or Christmas can cost you twice or three times more than what they charge on ordinary days. That is why most budget travellers or backpackers spend time looking for affordable accommodation so that they can still maximise their budget. One of the disadvantages of travelling is you only have limited time to visit and explore the tourist spots in a particular country. That is why you have to maximise your stay if you want to cover as many places as possible. You can visit the local tourism office and ask for assistance with regards to your itinerary. The tourism officers and local guides will be very willing to address your concerns. Most tourists are looking forward to shopping and visiting flea markets for souvenirs and other unique items. If you are on a budget, it is a wise decision to avoid these places because it can be tempting at times. You may end up spending more than what you can afford unless you have the right amount of self-control. Just think of it this way, the main reason why you are travelling is to visit different places and not shop. A lot of promotions and discounts are available online. Establishments like hotels, airlines, restaurants and resorts offer different offers in the form of vouchers and by using online applications. All you need is to have more patience and exert more effort in finding these discounts, but it can help a lot in significantly lowering your expenses. Having budget constraints is not a reason for you not to enjoy travelling. All you need is to make smart choices and live within your means so that you can make the most out of what you currently have. To read more on topics like this, check out the vacations category.